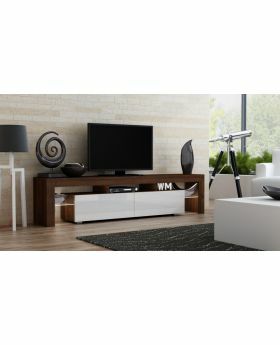 Walnut modern TV stand. 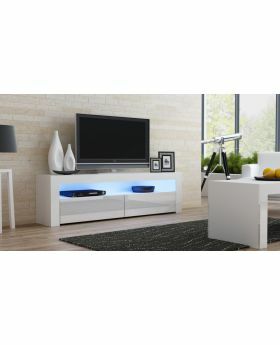 Glass shelves with LED lights in 16 colors. 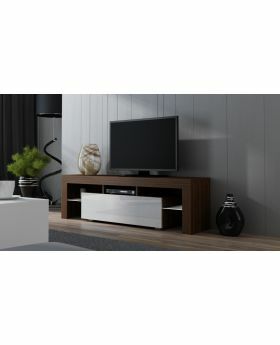 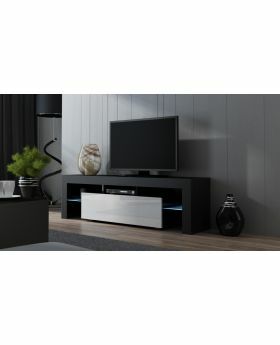 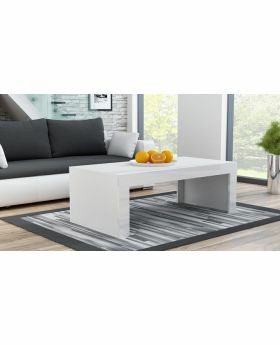 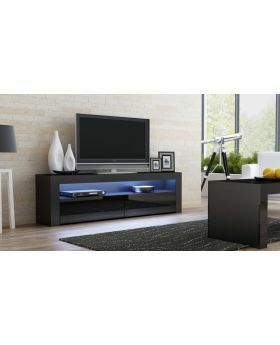 TV stand MILANO 160 – fronts in gloss, front door (39,37” wide and 9,84” high). 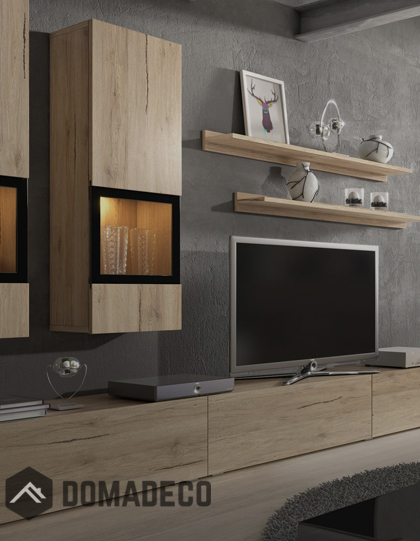 Touch TIP-ON opening system (no handles). 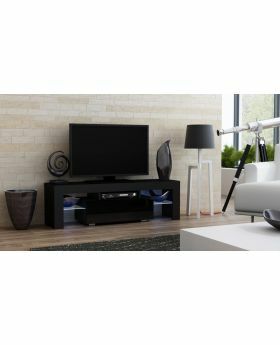 Open spaces for media equipment – 2 x ~H/W/D 3,54”/12,6”/11,02” and 1 x ~H/W/D 3,54”/15,75”/12,6” ( there is an additional ~2,56” space behind the front shield). 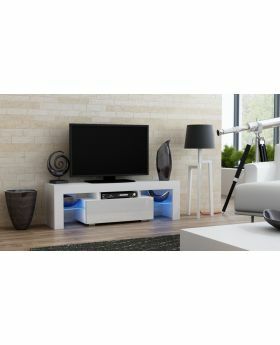 On both sides two additional glass shelves (width 11,02”) with remote controlled LED lighting system – ON/OFF and 16 color selection Remote Control. 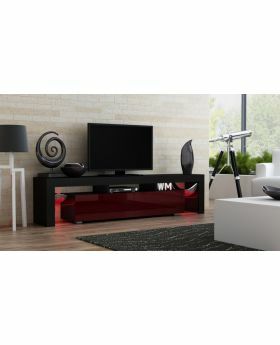 You're reviewing:Milano 160 - walnut modern TV stand.